"Ellie Parker" is the sort of movie that you wish you could have made in college. It's funny, somewhat different, and has a beautiful leading lady, that of which goes by the name of Naomi Watts in this case. It also has an incredibly low budget. As a matter of fact, it looks as though it could have been a college student's project. An hour and a half showcasing Naomi Watt's fantastic amount of talent as Ellie Parker: A struggling actress jumping from audition to audition with the hope of landing a part in anything she can get. Her loser boyfriend is no help, neither is her agent, and as the days go by, she loses more and more hope. Whether she's cruising down Sunset Strip to her next audition, or yelling into her cellular flying down the 101, there is a part of us throughout the entire movie that wants to know what is going to happen to Ellie next. She's lovable. She's talented. She's been through more than we (the audience) can begin to understand. But most importantly, she's determined. 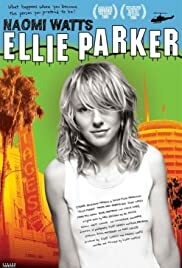 If you adore Watts as much as this reviewer does and you want to see her in something realistic (as close as it gets), check out "Ellie Parker". You won't get to see her like this in "King Kong." That's for sure.